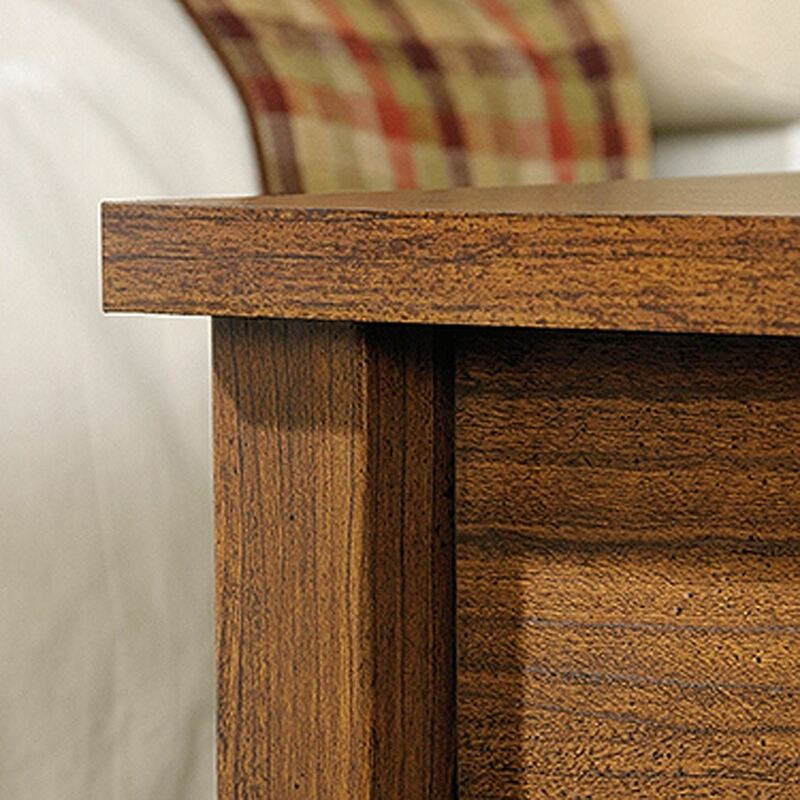 Cannery Bridge Night Stand Milled Cherry By Sauder. 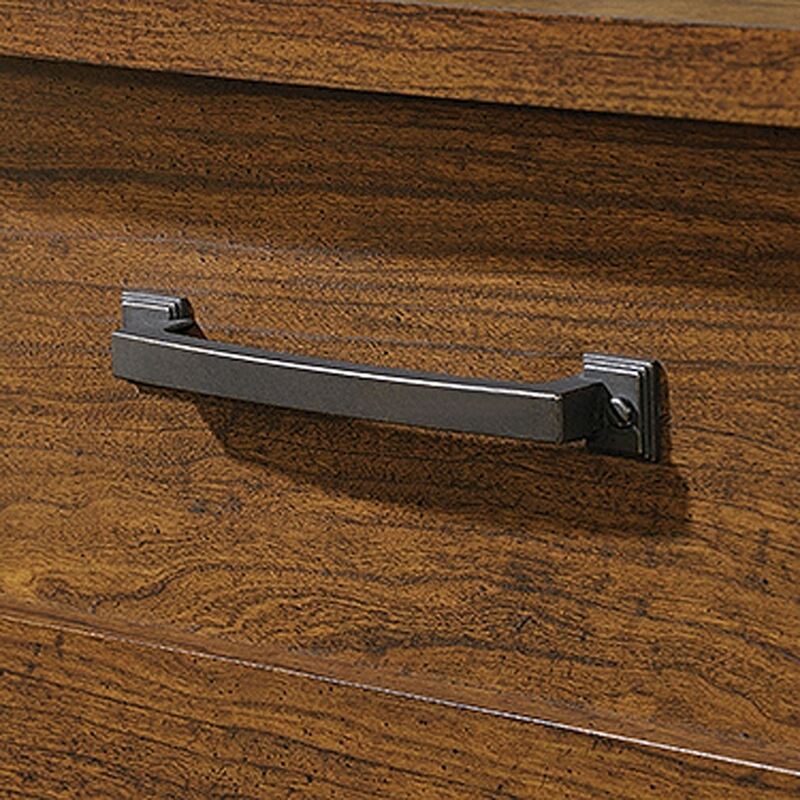 Add some classic beauty to your home with this night stand from the Cannery Bridge collection. 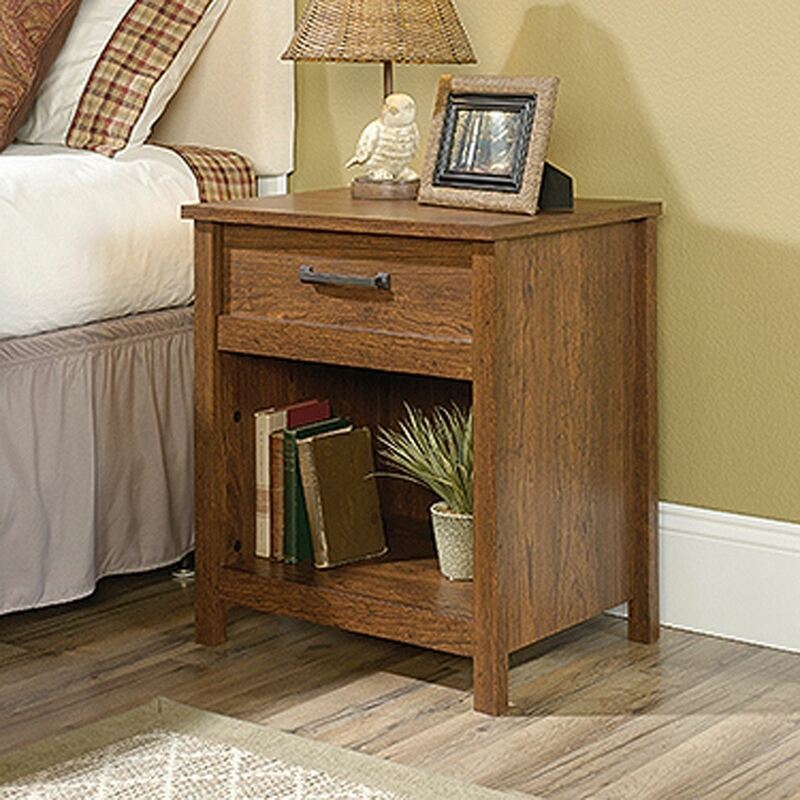 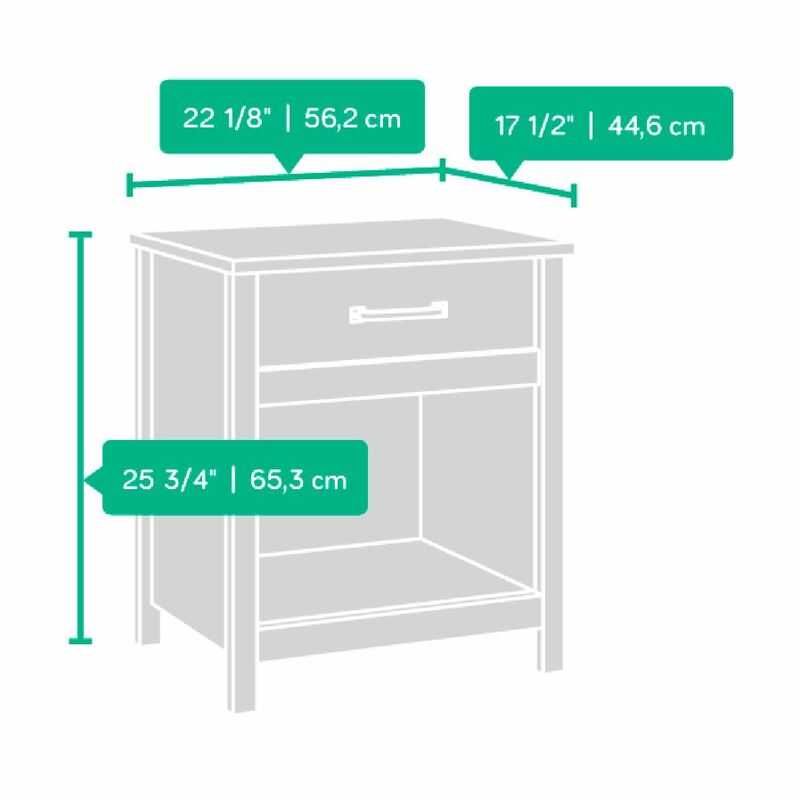 With features like an open shelf for storage and an easy-to-access sliding drawer, this bedside table is sure to charm your socks off. 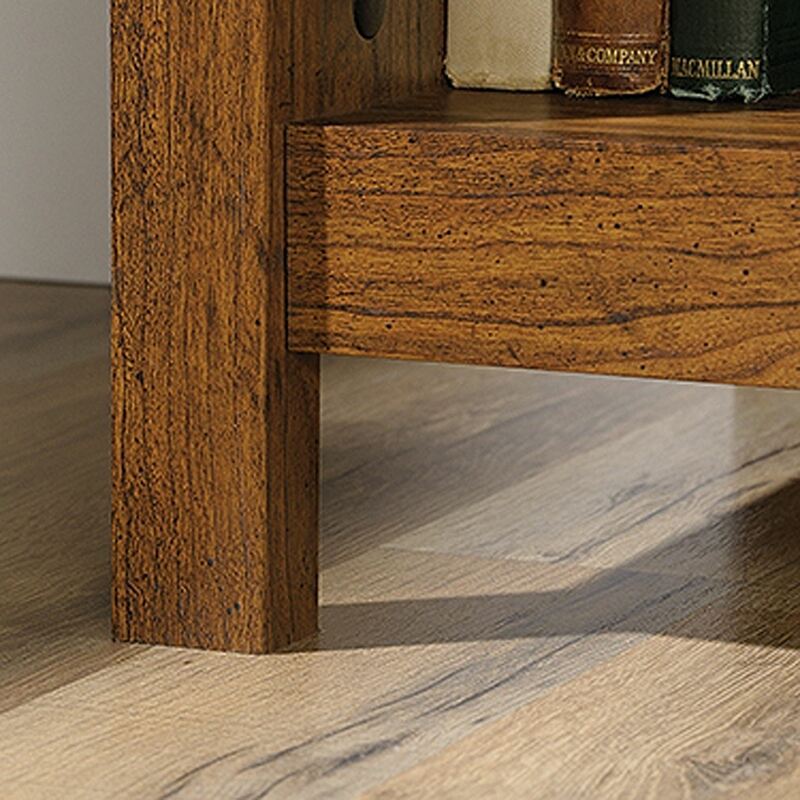 Finished in Milled Cherry accompanied by custom hardware, this end table provides modern functionality for your living room, bedroom, dining room or home office.